MUNA is a neighborhood association for neighbors the area including Utah, Mariposa, 18th, Potrero and San Bruno (West) Streets. MUNA was formed in 2004 in order to facilitate communication and improve the quality of life in the neighborhood. 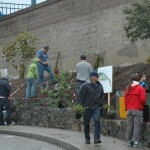 The neighbors have worked together to improve the local minipark and have other projects that they wish to complete. SFMTA wantsto hear what neighbors think about development of the MUNI barn in the neighborhood. In response to an increase in neighborhood crime, MUNA invited Adam of SFSAFE to lead a meeting. 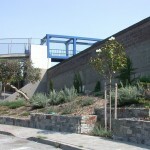 In 2015 property owners in the area from 16th street to 18th Street, Potrero Avenue to Vermont Street became part of the Dogpatch & Northwest Potrero Hill Green Benefit District. This district supplements the City’s efforts to care for parks and green open space. Check out the GBD Website for more details. 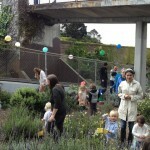 Potrero Gateway Loop gets Funding from the Eastern Neighborhoods Benefit Fund!! 2013 Community Challenge Grant Awarded!! February 28, 2012: MUNA presents two projects at Potrero Hill Boosters Meeting. Click the link below to view the presentation.